Jesse Ruiz graduated from University of California, Los Angeles and attended Western State Law School. Mr. Ruiz began working in criminal defense to assist those under investigation or accused of a crime. Mr. Ruiz has developed a reputation for protecting his client’s interest from the beginning of an investigation, until the conclusion of a case. In 2010, Mr. Ruiz began his legal career at the Los Angeles District Attorney’s office where he learned to think like a prosecutor and quickly understood that not all cases are the same. After working with the Los Angeles District Attorney’s office, Mr. Ruiz became a Clerk for Judge Maria D. Hernandez of the Orange County Juvenile Court. There, Mr. Ruiz worked with minors accused of serious crimes and learned that alternative sentencing geared towards reform are much more effective at rehabilitating youth than punishment. 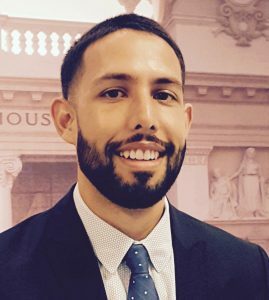 In 2015, Mr. Ruiz was one of the few to be selected for a position at the prestigious Riverside Public Defender’s office. Mr. Ruiz was assigned to work on serious felonies, ranging from burglary, robbery, to white collar crimes. Mr. Ruiz has successfully argued numerous misdemeanor and felony trials and has even received “Not Guilty” verdicts in some cases. After leaving the Riverside Public Defender’s office Mr. Ruiz was admitted into Federal Court, where he began defending individuals accused of Federal Crimes, including money laundering and drug smuggling. Mr. Ruiz has worked with the DEA and the United States Marshal’s office on resolving cases before they are filed. In some cases, Mr. Ruiz even negotiated agreements with the DEA to avoid prosecution all together. Mr. Ruiz is passionate about his work and genuinely cares for his clients, which is why he has joined forces with Manshoory Law Group, because they too, share that same passion in helping clients.